Friedrich Georg Wilhelm von Struve (Russian: Василий Яковлевич Струве, trans. Vasily Yakovlevich Struve; 15 April 1793 – 23 November [ O.S. 11 November] 1864) was a German-Russian astronomer and geodesist from the famous Struve family. He is best known for studying double stars and for initiating a triangulation survey later named Struve Geodetic Arc in his honor. The Struve family were a Baltic German noble family of Eastphalian origin and originated in Magdeburg, the family produced five generations of astronomers from the 18th to 20th centuries. Members of the family were also prominent in chemistry, government and diplomacy. Altona is the westernmost urban borough (Bezirk) of the German city state of Hamburg, on the right bank of the Elbe river. From 1640 to 1864 Altona was under the administration of the Danish monarchy and Denmark's only real harbour directly to the North Sea. Altona was an independent city until 1937. In 2016 the population was 270,263. The Duchy of Holstein was the northernmost state of the Holy Roman Empire, located in the present German state of Schleswig-Holstein. It was established when King Christian I of Denmark had his County of Holstein-Rendsburg elevated to a duchy by Emperor Frederick III in 1474. Holstein was ruled jointly with the Duchy of Schleswig by members of the Danish House of Oldenburg for its entire existence. Geodesy, is the Earth science of accurately measuring and understanding Earth's geometric shape, orientation in space, and gravitational field. The field also incorporates studies of how these properties change over time and equivalent measurements for other planets. Geodynamical phenomena include crustal motion, tides, and polar motion, which can be studied by designing global and national control networks, applying space and terrestrial techniques, and relying on datums and coordinate systems. The Pulkovo Astronomical Observatory, the principal astronomical observatory of the Russian Academy of Sciences, located 19 km south of Saint Petersburg on Pulkovo Heights 75 metres (246 ft) above sea level. It is part of the UNESCO World Heritage Site Historic Centre of Saint Petersburg and Related Groups of Monuments. 768 Struveana is a minor planet orbiting the Sun. The asteroid was named jointly in honor of Baltic German astronomers Friedrich Georg Wilhelm von Struve, Otto Wilhelm von Struve and Karl Hermann Struve. Otto Wilhelm von Struve was a Baltic German astronomer. In Russian, his name is normally given as Otto Vasil'evich Struve. Together with his father, Friedrich Georg Wilhelm von Struve, Otto Wilhelm von Struve is considered a prominent 19th century astronomer who headed the Pulkovo Observatory between 1862 and 1889 and was a leading member of the Russian Academy of Sciences. Sir James South FRS FRSE PRAS FLS LLD was a British astronomer. Otto Struve was a Russian-American astronomer. In Russian, his name is sometimes given as Otto Lyudvigovich Struve ; however, he spent most of his life and his entire scientific career in the United States. Otto was the descendant of famous astronomers of the Struve family; he was the son of Ludwig Struve, grandson of Otto Wilhelm von Struve and great-grandson of Friedrich Georg Wilhelm von Struve. He was also the nephew of Karl Hermann Struve. Viktor Karlovich Knorre Russian: Виктор Карлович Кнорре(4 October 1840 – 25 August 1919) was a Russian astronomer of German ethnic origin. He worked in Nikolaev, Pulkovo and Berlin and is best known for having discovered 158 Koronis and three other minor planets. Knorre's father, Karl Friedrich Knorre, and grandfather, Ernst Friedrich Knorre, were also prominent astronomers. Recently, the main-belt asteroid 14339 Knorre was named in honor of the three generations of Knorre astronomers. Sherburne Wesley Burnham was an American astronomer. Karl Hermann von Struve was a Russian astronomer. In Russian, his name is sometimes given as German Ottovich Struve or German Ottonovich Struve. Gustav Wilhelm Ludwig von Struve was a Baltic German astronomer, part of the famous Baltic German Struve family. In Russian, his name is sometimes given as Lyudvig Ottovich Struve or Lyudvig Ottonovich Struve. Johann Heinrich von Mädler was a German astronomer. The Tartu Observatory is the largest astronomical observatory in Estonia. On January 1, 2018, Tartu Observatory joined again to Tartu University, and the observatory is now an institute of the university. 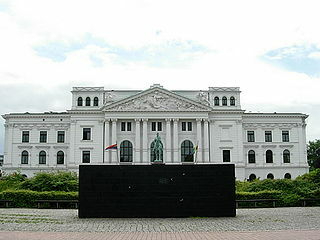 It is located on the Tõravere hill, about 20 km south-west of Tartu in Nõo Parish, Tartu County. The old Tartu Observatory located in Tartu city centre, is known internationally for its connection to Friedrich Georg Wilhelm von Struve and the Struve Geodetic Arc, of which it is the first reference point. Kaspar Gottfried Schweizer was a Swiss astronomer who travelled to Moscow in 1845 to become Professor of Mathematics and Astronomy at the Survey Institute, and later director of the Moscow University Observatory. Karl von Struve was a Russian nobleman and politician. He served, in turn, as Russian Envoy Extraordinary and Minister Plenipotentiary to Japan, the United States, and the Netherlands. Wilfried George Struve (1914–1992) was a German scientist. 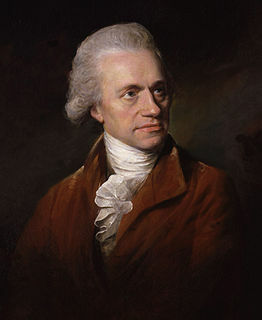 He started his career as a fifth-generation astronomer, a direct successor in the famous family line of Friedrich Georg Wilhelm, Otto Wilhelm, Hermann, Georg Hermann Struve. He fought for Germany in World War II and after the war changed his field from astronomy to acoustics. Heinrich Wilhelm von Struve was a Baltic German chemist from the Struve family and a member of the Russian Academy of Sciences. 7449 Döllen, provisional designation 1949 QL, is a stony Florian asteroid from the inner regions of the asteroid belt, approximately 3.5 kilometers in diameter. It was discovered on 21 August 1949, by German astronomer Karl Reinmuth at the Heidelberg Observatory in southwest Germany. The likely S-type asteroid has a rotation period of 10 hours. It was named after German astronomer Wilhelm Döllen. Karl Khristoforovich Friedrich Knorre; Russian: Карл Христофорович Кнорре was a Russian astronomer of Baltic German ethnic origin who is best known for founding the Nikolayev Astronomical Observatory in 1827. Knorre's father, Ernst Friedrich Knorre, and his son, Viktor Knorre, were also prominent astronomers. Recently NASA named an asteroid in honor of the three generations of Knorre astronomers. University of Tartu Old Observatory or Tartu Old Observatory is an observatory in Tartu, Estonia. Tartu Observatory was an active observatory from 1810 to 1964. The building now serves as a museum and belongs to the University of Tartu Museum. 1 2 A. H. Batten (1988). Resolute and undertaking characters: the lives of Wilhelm and Otto Struve. Dordrecht, Holland: Springer. p. 9. ISBN 978-90-277-2652-0. 1 2 3 4 5 6 7 8 9 A. H. Batten. "The Struves of Pulkovo – A Family of Astronomers". Journal of the Royal Astronomical Society of Canada. 71: 345. Bibcode:1977JRASC..71..345B. ↑ "Book of Members, 1780–2010: Chapter S" (PDF). American Academy of Arts and Sciences. Retrieved 15 September 2016. ↑ A. H. Batten (1988). Resolute and undertaking characters: the lives of Wilhelm and Otto Struve. Dordrecht, Holland: Springer. p. 135. ISBN 978-90-277-2652-0. ↑ Lutz D. Schmadel (2003). Dictionary of minor planet names. Springer. p. 73. ISBN 3-540-00238-3. Wikimedia Commons has media related to Friedrich Georg Wilhelm Struve .